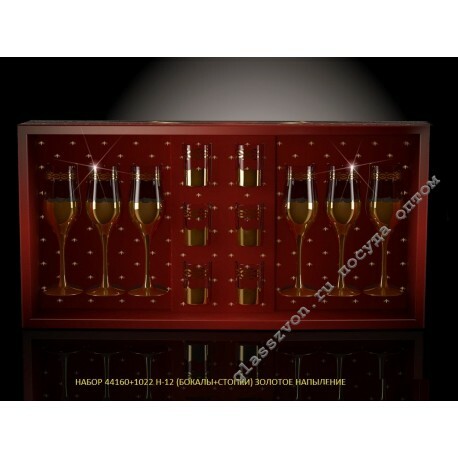 "The presented set of twelve items with gold plating is an example of practicality and elegance. The dishes from this kit are perfect for official events, any festive events held in bars, restaurants or at home. The offered gift sets of cookware in bulk have an impeccable filling pattern, the optimal shape and convenient packaging. 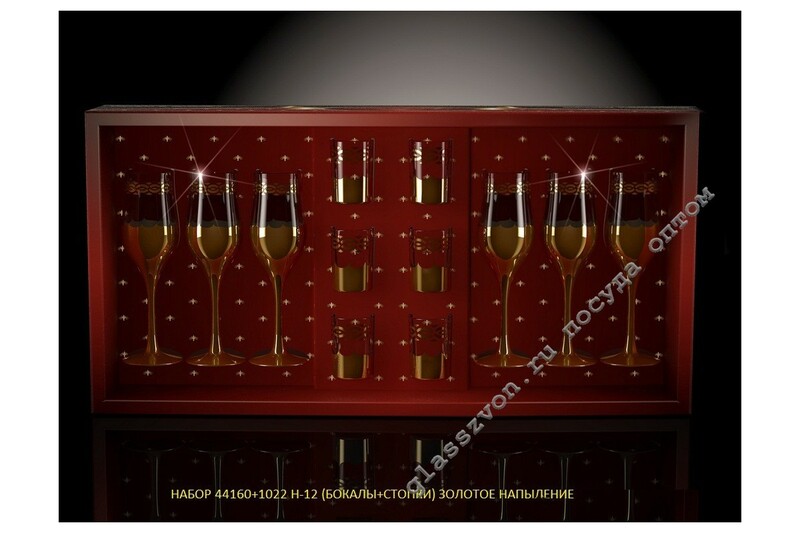 The original set of glasses and wine glasses of 12 items will be of interest to the wholesale buyer not only by their appearance, but also by the manufacturer, which is an order of magnitude lower than the market value of such goods. "